The razor itself comes with a free blade, this will last about a week. But not to worry, we have 9 D’E blade brands in accessories for you to choose from. 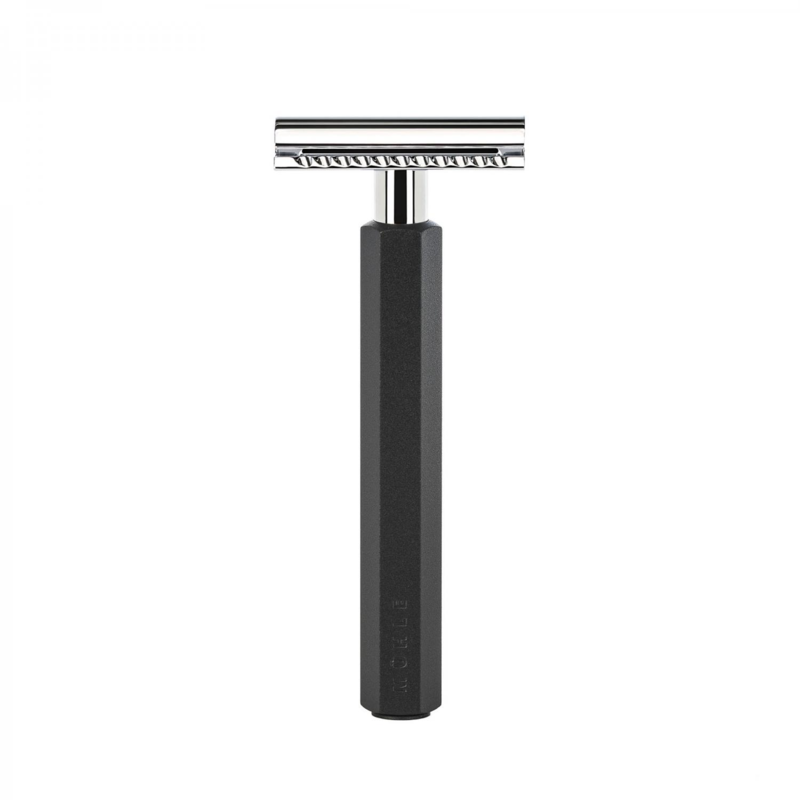 These razors are a great way to shave and the MUHLE LISCIO Safety Razor Black, is a great first time razor. 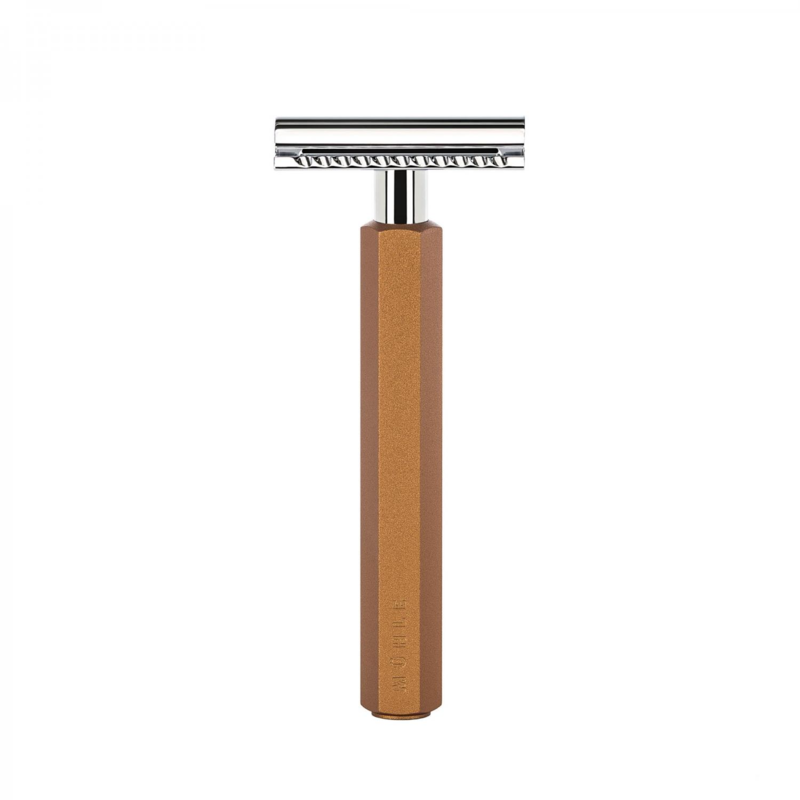 The shaving style of the razor like most Muhle, is middle aggressive. This make this razor an excellent all rounder. 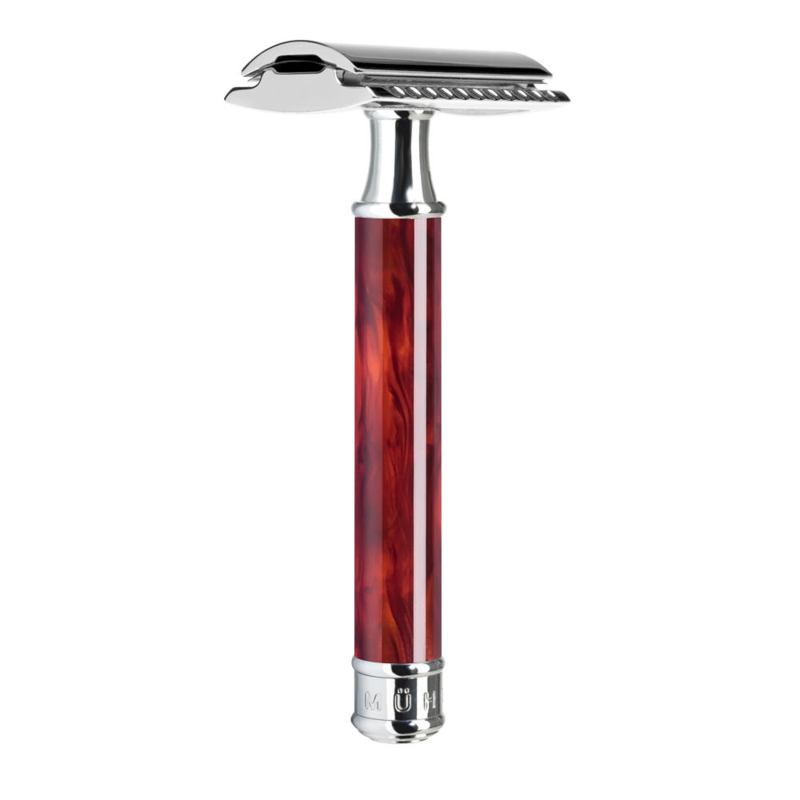 Also this safety razor is an excellent price considering the quality of build. 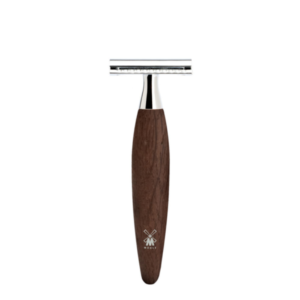 We at Edward’s are official retailers of Muhle safety razor. We stock them due to they’re great range the quality of which rivals safety razors that cost in the hundreds. Also a company with a interesting history opening in post war Germany, this family company make quality shaving merchandise to this day. At Edward’s we have loads of great shaving knowledge on our blog, as shaving technique is important so we avidly write about it. We have attached a useful blog below. Now if you have any questions on the epic razor that is the MUHLE LISCIO Safety Razor Black. Please get into contact.